JDTECK Innovates the World's First DAS Corner Antenna! This antenna had to be designed to fit in the corner of a space (wall or ceiling) to minimize, or in most cases eliminate, exposed coaxial cables while still providing enhanced cellular coverage to the desired area. It also had to look appealing and beautiful from every angle. The initial design was conceptualized many years ago but the demand did not warrant development. However as the necessity for seamless indoor cellular coverage with the emphasis on aesthetics and being discreet increases, the engineers at JDTECK recognized the time was now right to complete the development of this antenna and put it into production. We are now happy to release the "The JDTECK COIN Antenna" (French for Corner) which can be mounted in either a vertical or horizontal position. This antenna can be installed with the RF port in either the up, down, left or right position, thus providing the end user or system integrator multiple mounting options for that perfect fit. This patent pending antenna also incorporates advanced micro-strip technology optimized for use with the latest 4G protocols in cellular and Wi-Fi communication. 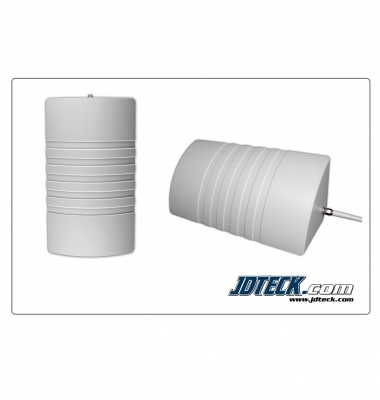 The JDTECK COIN Antenna will be available in January 2014. Resellers Wanted!